Singer Gwen Stefani was spotted with her son Kingston in Los Angeles. Love this Moschino Kids Milano Grey Vintage Mickey Sweatshirt that Kingston is wearing. Inspired by the Moschino men’s collection, this streetwear look is perfect with a pair of multicolor print shorts that Kingston is wearing. 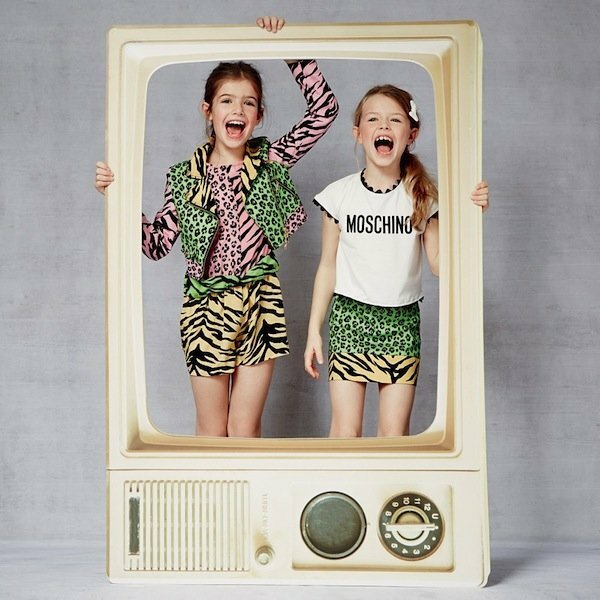 Shop the new Moschino Kids Fall Winter 2018/19 Collection online. Photo credit: Instagram.